I finished 11-7 this weekend. That’s all I had time for. I was 7-1, then 7-7, then 11-7! Oh well. That’s FIFA! 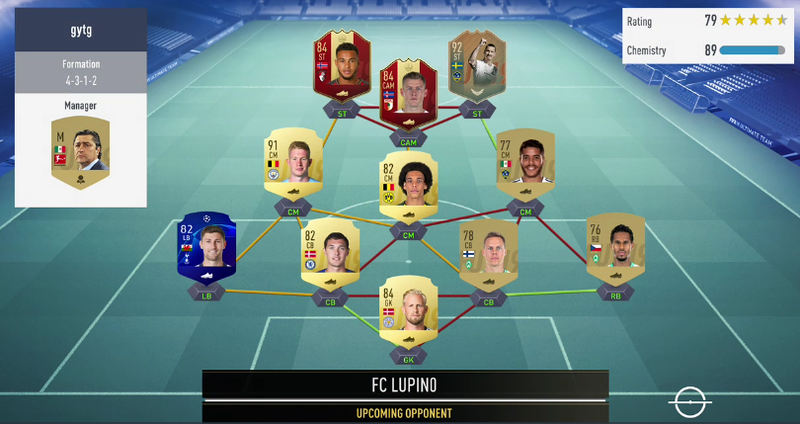 Yeah, it’s on a par with squad battles for awfulness. I just played a few rivals games and WTF the gameplay is so trash compared to WL, the servers are a **** disgrace right now the gameplay is worse than **** Fifa 09 on the Nintendo DS. Well played mate, really, loved that GK movement from you and just running down the wing and crossing to Ibra and King. I actually thought the complete opposite last night. 90 Henry seems ridiculous so far, he got 6 goals on his debut with 3 green timed power shots in a 10-0 win , and in the second game he got a nice goal and a very nice assist in a 4-1 win. Varane seems to be nearly as good as Blanc and Kante and Petit are loads better than Inform Goreztka and 88 Veron for me as CDMS. @Finesse_4days Just think, on Friday you could maybe get Henry in his finest "moment"
I decided to do Nedved since I made a mint since last Friday - I went hard with 84 and ups mostly and have 30 things left in my trade pile and they are the 86/87/88's, lol. Packs sucked, but did get Casemiro and Fabinho in the player pack. Ultimate pack was terrible. Just need to do these stupid bronze/silver ones now. I would have to save my rivals and WL rewards for that to happen and I am not sure I have the patience to wait that long , I would be happy to pack an 85 Inzaghi with my luck this year , never mind a 94 Henry. I just did Nedved and immediately ripped the packs. I don't want any part of this BS. Icon moments? Come on EA. I'm outta people. Only other place I really contributed - can't stand the crap on this forum anymore. So long & all the best. I was upset at first but honestly it's not worth it to be upset at this. Its **** on EAs part but honestly in game is Super Prime Nedved/Cannavaro/Baresi(the ones I have), REALLY going to be super noticeably better than the prime?? Realistically no. IF anything this actually lowers the cost of cards like Gullit, Vieira, and other big Primes because now they are second best. I just hope that the SBC's still happen as that's the ONLY way I'm going to afford Gullit. Everyone's up in arms because it's the greediest move since the 2789 hours needed to play Battlefront to unlock Darth Vader or you pay about $1500 bucks to get him instantly. . FOR A GAME YOU PAID FOR. This might be FIFA's Darth Vader. . .I hope there's a reddit post massing dislikes right now. I 10000000 percent agree with all of that!! 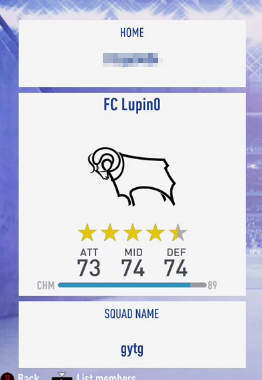 I was annoyed at first just cause I really wanted the highest rated versions of Cannavaro and Nedved at the start of this game and then they come out with this ACTUAL prime ****. Legit I wasn't excited for this game until I saw they brought back all the old legends as icons and as soon as I saw those two I opened my wallet(stupidly) again. I'm just upset that another money grabbing ploy but we still have jacked up gameplay and glitches that have been around since Day 1 that absolutely RUIN the game. Not even crazy things that happen in game with 50/50s and stuff. The FORMATION bug is still there. You make a sub to adapt and then change formation you're skrewed. CB's at ST and a 5 foot midfielder playing as your CCB. I honestly wouldn't be as annoyed shoveling money at this game if gameplay was good. But this promo makes me hate the issues with gameplay even more than I did before. My 1.16m investments from 02/08. I've also stashed about 270k of 85/86/87 rated cards too, lol. I have 31 items left in my TP, lol. I sold nearly everything except the super high rated ones and I've actually shifted some of them. Neuer this morning for 95k. Icardi when I was doing Nedved for 45k. Is this icon promo for real? Not logged in on console yet to see for myself but have seen the forum is up in arms... and rightly so. Guys would 93 Suarez work as a cam behind zlatan? I’ve got his red but I bought messi who is great but I figured if I use Suarez I can upgrade other areas I figured what I lose in pace and agility I make up for in strength. What do you reckon? Can’t do that to zlatan gotta have him up top for crosses lol. Plus more space for the cams usually and Suarez has finesse shot trait. Would you do the swap? Edit for all of my ranting. Absolutely brilliant marketing. The whole FIFA world talking about this promo and now SBCs to upgrade the primes is confirmed. This was so sneaky and brilliant. Bad press = good press. I’m still not a fan of the idea BUT atleast you can get the Optimus Prime version via an SBC.